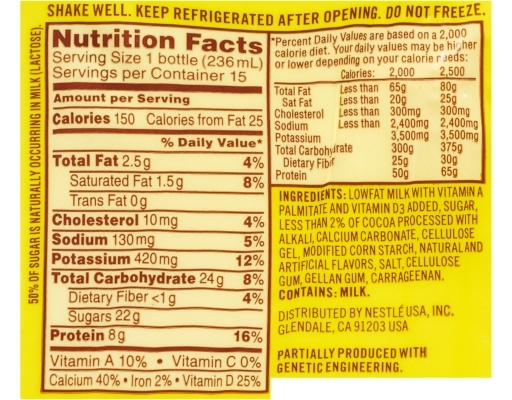 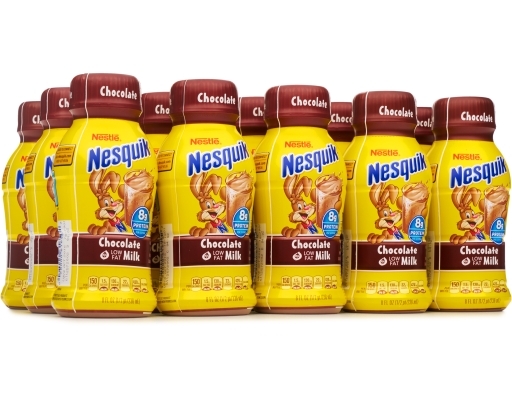 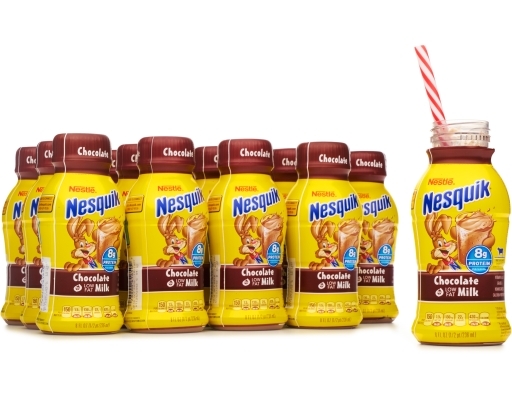 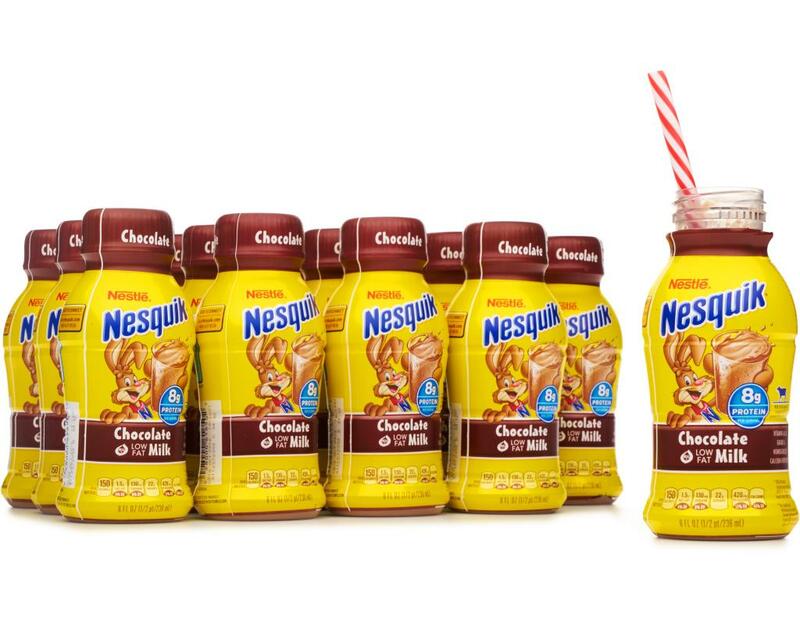 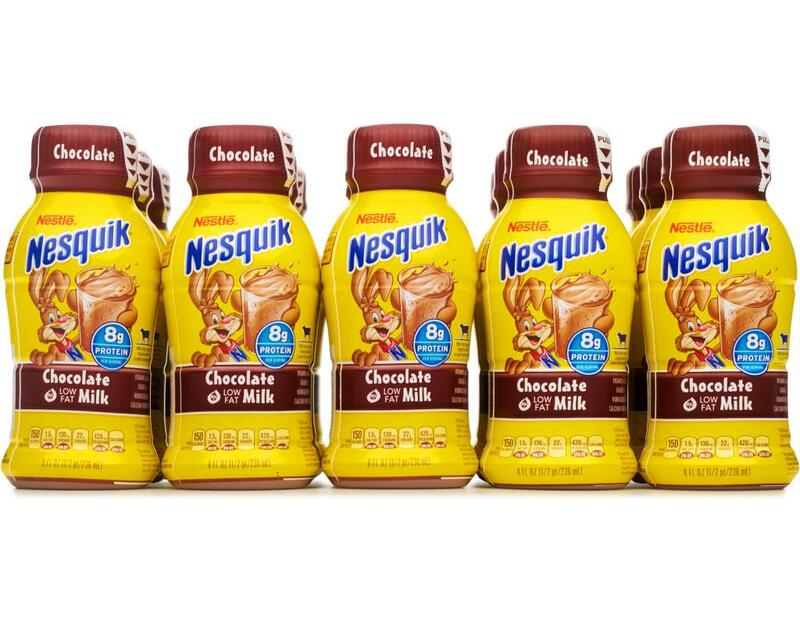 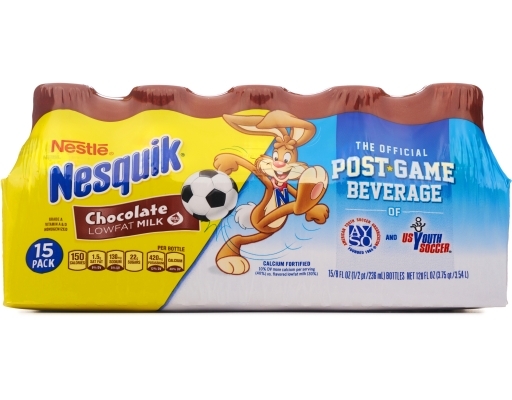 Nestlé Nesquik Chocolate Low Fat Milk is made with 100% real milk and has 8g of protein in every 8 fluid ounce serving. 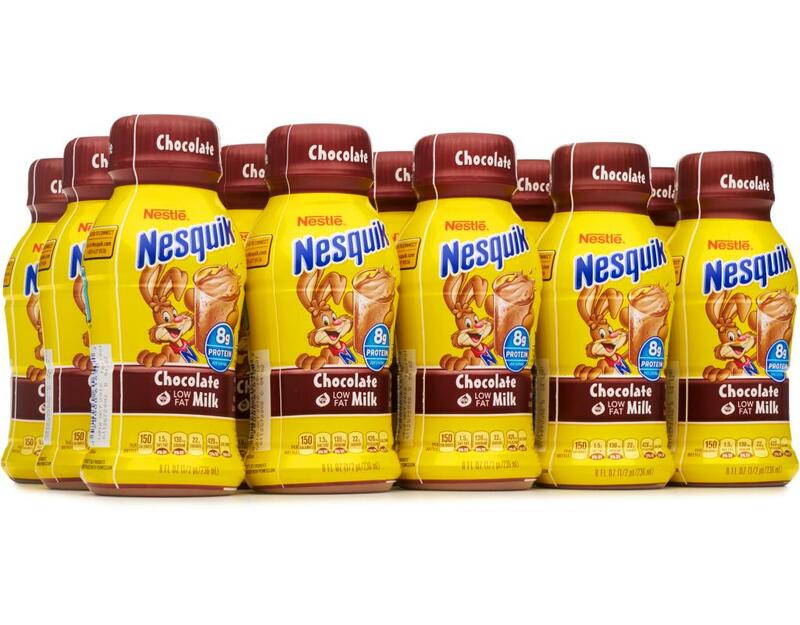 Because Nesquik is specially packaged you can store it in your pantry. 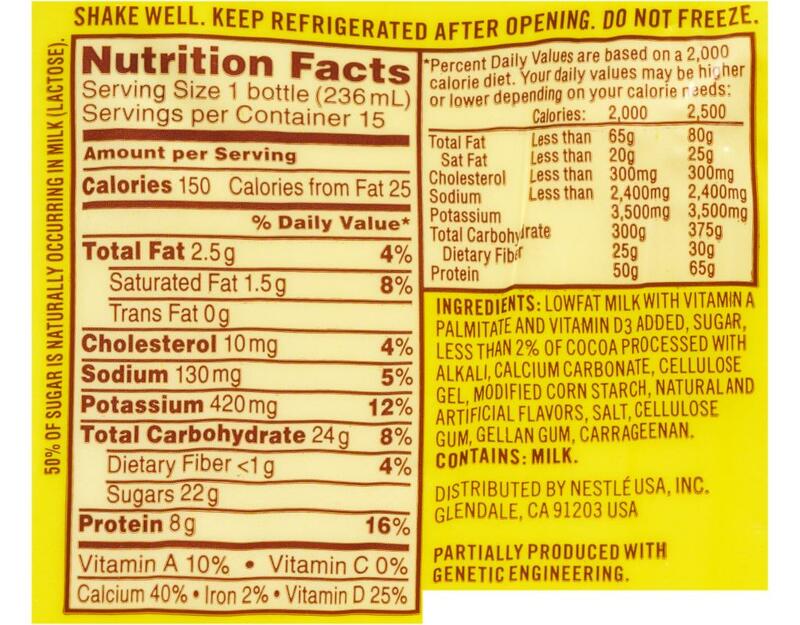 So feel free to stock up but don't forget to refrigerate after opening. 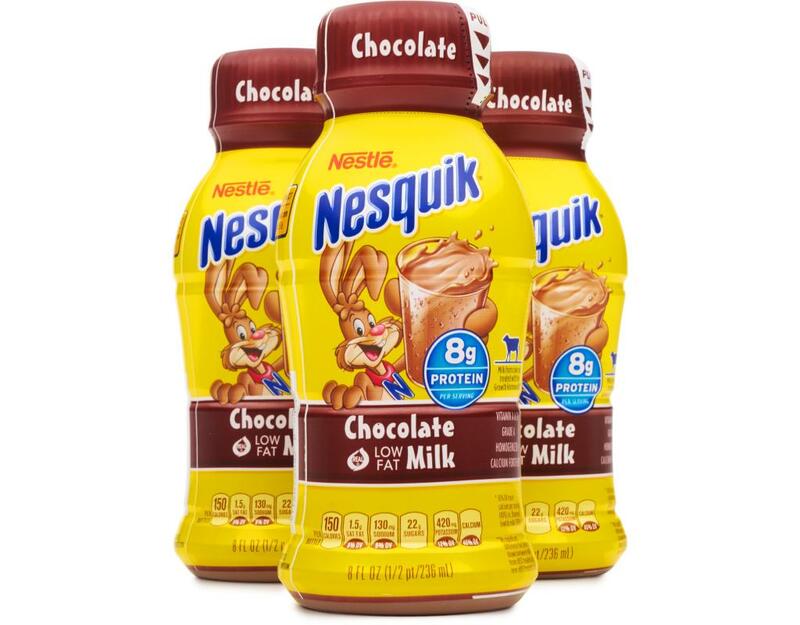 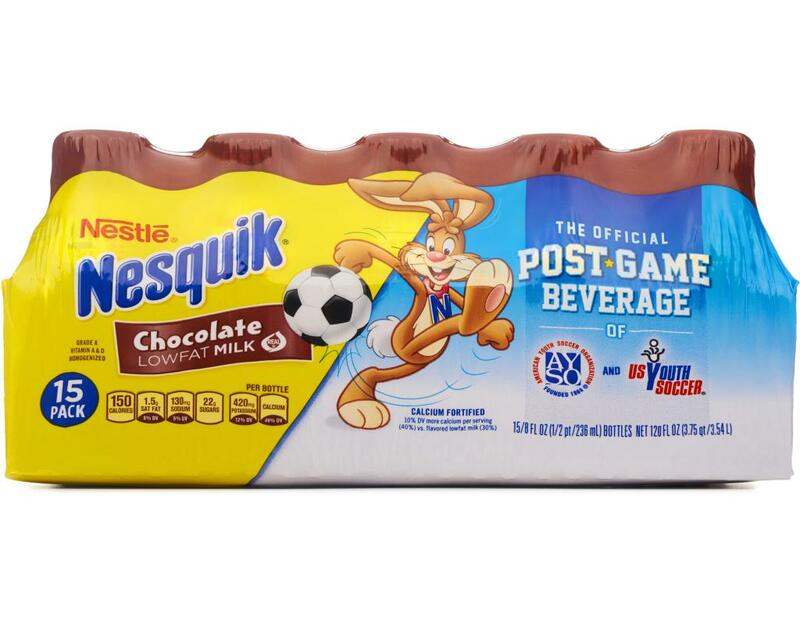 Nestlé Nesquik Chocolate Low Fat Milk is a great post-workout drink. 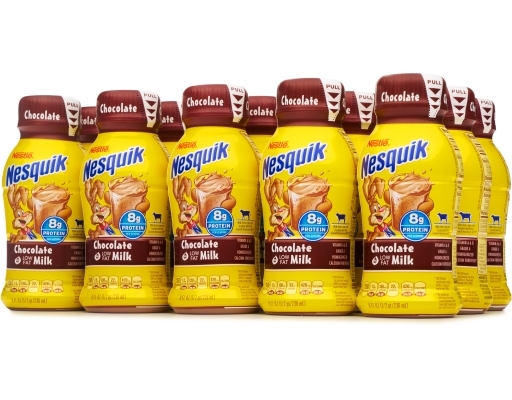 Research suggests that low-fat chocolate milk, like Nesquik, may contain the right mix of carbs and protein to help refuel and restore exhausted muscles. 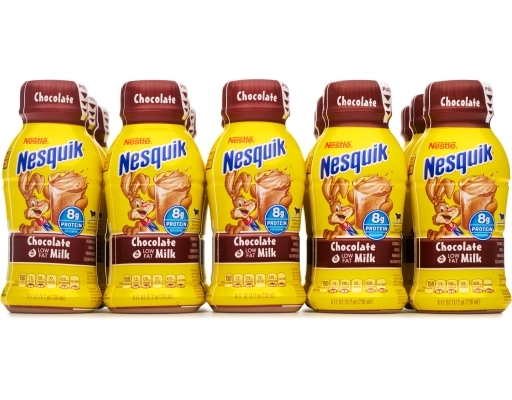 Low-fat Chocolate milk naturally contains the 3:1 ratio recommended.